Keith Betton is a media trainer, publicity consultant and writer. He is a keen world birder having seen his first bird when he was 8, and now almost 8,200 species in more than 100 countries some 50 years later. Keith has a particular passion for Africa, having been Chairman of the African Bird Club for 7 years, and is now its Vice President. 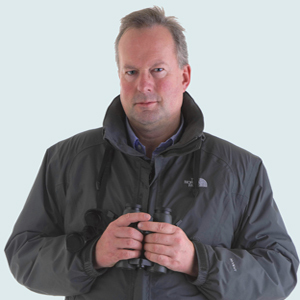 In the UK he is heavily involved in bird monitoring in Hampshire, where he is Chairman of the Hampshire Ornithological Society - and he also the County Bird Recorder. Having been a Council Member of both the Royal Society for the Protection of Birds and the British Trist for Ornithology, he is currently Vice President of the latter. His favourite bird is the Peregrine, and Cameron helped him to monitor these when they first nested in Winchester. Nicky moved to the Winchester area from London 25 years ago and became a close friend of the Bespolka family about ten years later though the Pilgrims’ School. She was appointed Secretary and then Chairman of the Pilgrims’ Parents’ Association, where one of her main responsibilities was organising major (and unmissable!) events such as the summer fête, the quiz night and the 75th Anniversary Ball. Nicky has always been particularly interested in helping out local charities, volunteering at the Hampshire Riding Therapy Centre, fundraising for Arthritis Research, and sitting on the Winchester Committee of Clic Sargent. She also trained as a volunteer for Friends of the Family, a charity that provides support and guidance to families that struggle to cope, and of which she was eventually made a Trustee. 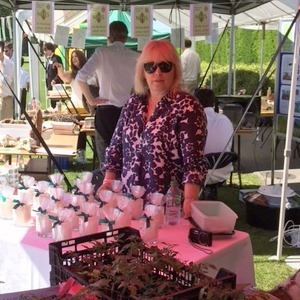 Nicky then became involved with the Cameron Bespolka Trust and helped with sourcing the scented candles and other items now sold online and at events. 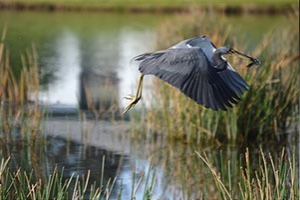 She believes that the Trust is not only important as the wonderful memorial to Cameron that it is, but is also vital as a way to help children in today’s fractious society immerse themselves in the natural world that Cameron loved so much and forget about the problems and stresses they may be facing. The enthusiasm Sarah feels for the outdoors and nature stems from her childhood in Derbyshire, the daughter of a farmer. 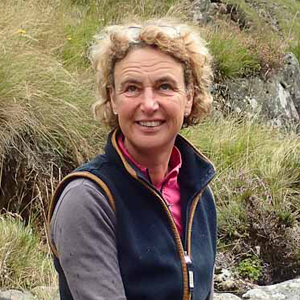 Always out and about in the heart of the Peak District she developed a strong affinity with the countryside seeing and enjoying at close quarters the wildlife it supported. Studying at the Royal Agricultural College she furthered her knowledge in the management of land and the importance of balancing the needs of agriculture and the environment. She later went on to be a Conservation Officer for MAFF working with farmers to develop and enhance habitats for birds and invertebrates. Now a mother of two girls, living on a farm near Alton, Sarah has turned her attention to the support of young people. A family support mentor with Home Start and a former key worker at Treloars, a specialist college for young people with disabilities, she brings considerable practical experience, knowledge and empathy to the task of encouraging young people to connect with and get closer to nature. Sarah is closely involved with the search for a site to establish an educational base called Cameron's Cottage. In 2017 she was part of the fund raising team that cycled 700 km across the Pyrenees raising ..... For the Trust.